I was recently commissioned by Chalet Rosière to create 8 Mountain Totem illustrations for the 8 local totemic animals that the chalets bedrooms are named after. “Be Inspired, Be Healthy, Be Well...BeYou+"
Funded by our innovative Enterprising Health Partnership, BeYou+ is an app designed by experts in HIV from Chelsea and Westminster Hospital NHS Foundation Trust to provide users with reliable information about their body, mind and life when living with HIV. Information is provided in a convenient and accessible way, so users can access what they need, when they want it, allowing them to focus on being healthy, living well and achieving their goals. BeYou+ gives users the ability to set their own goals and achieve reward videos, input their health information, set reminders that sync with their calendar and much more. 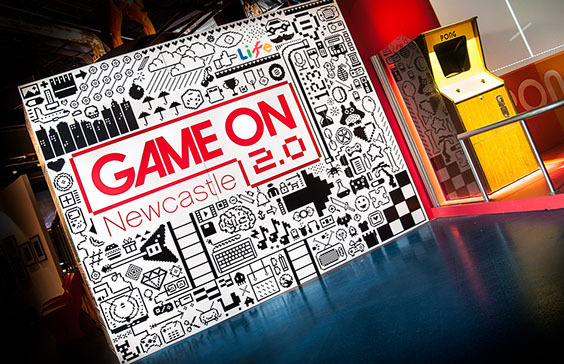 Game On 2.0 celebrates the vibrant history, culture and future of video games and gaming technology. 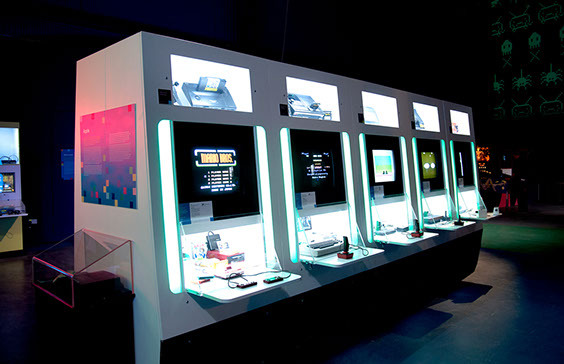 The exhibition features the world’s largest selection of playable video games from the past 60 years alongside original artwork and memorabilia. 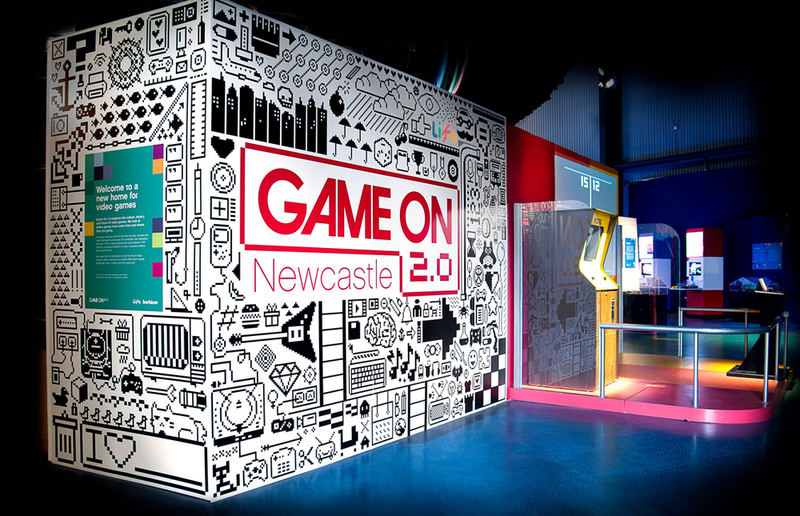 I was commissioned by 'Everything Is My Design' to produce the animated concept for the Game On 2.0 exhibition space. I produced three types of animation for the exhibition space to complement different areas of the space. A mesmeric ‘Loading’ graphic was created for the queue area which nods to the original loading screens of the cassette-based games of the 1980’s. The graphics were created to enhance the sense of tension and excitement building in the potentially restless queue, offering an experience of gaming requiring a patience which only some of the older audience would remember. A second large scale ‘Fixed shooter’ style animation was created for a large wall space at the ‘early games’ section of the exhibition. This simple animation was projected against a huge wall space allowing it to marry perfectly with the exhibits in this ‘retro’ section. For the central wall space I produced a three minute animation of bespoke ‘mini games’. These animations were a series of short, humorous and frantic pixelated motion graphics that looked deliberately retro with vintage style transitions and bright, fun colours and content. The Alkemistry is a provider of luxury jewellery with an esoteric twist: customers can have pieces custom-matched to their unique numerological and astrological readings. Rather than simply appreciating jewellery for its contributions to outer beauty, it matches people with pieces that will enhance their inner beauty just as much. The Alkemisty approached me to develop a series of hand-drawn illustrations that would be used throughout their website to enhance their brand. During this process I also created a brand video which tracks the story of how The Alkemistry was born and its journey through creation. 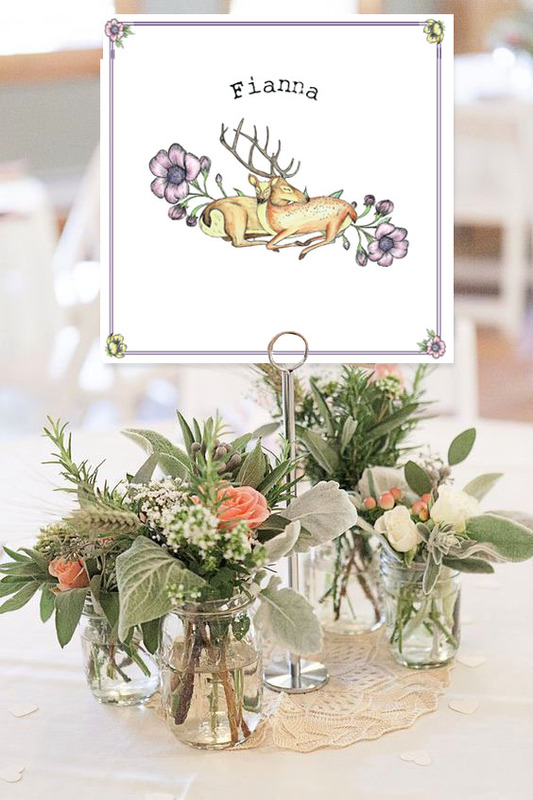 Last year I was lucky enough to be asked to design the wedding invitations & stationary for a very special couple. I decided to branch out from my usual black linework style to better reflect the springtime. 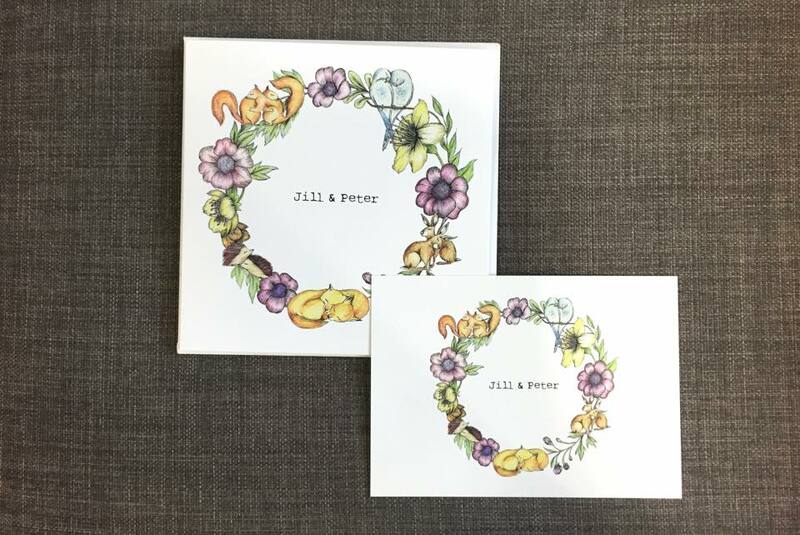 Along with the wedding invitations & the save the dates I also designed the table place settings, seat plans, individual name cards and screen printed hen party t-shirts.